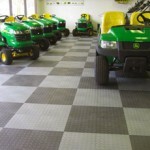 There are many types of garage flooring options available for every different type of application. 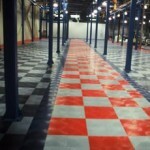 There are rubber garage floors, tile garage floors, which are available in both peel and stick or rigid applications. 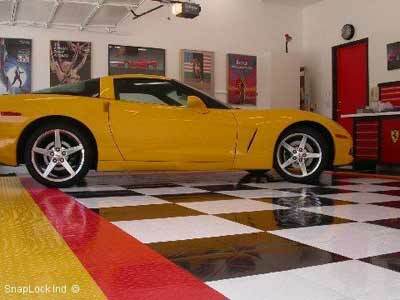 The first category to discuss is the rubber garage flooring, also known as rolled garage flooring. 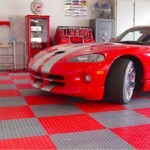 This type of garage flooring is very easy to install and one of the most affordable options available to the homeowner. Installation is a snap and is as simple as rolling out the floor over your current garage floor and trimming to fit. 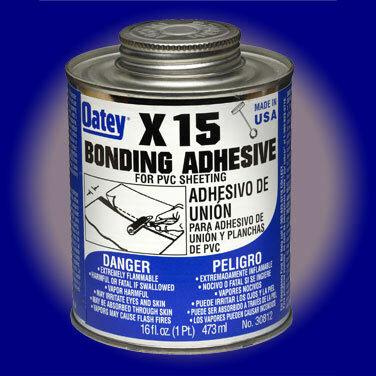 Gluing or adhesives or any kind are not even necessary. 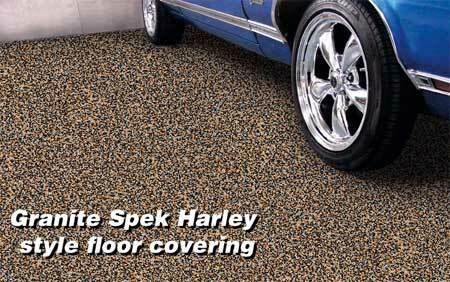 StoreItWell.com offers varieties of garage flooring such as ribbed, diamond tread, coin, levant, granite spek rollout flooring, and diamond deck rolled flooring. These floors are available in a variety of colors to please even the harshest critics. The other type of popular tile is of the peel and stick variety. The tiles are basically made of the same material as the rubber roll out flooring with a peel off adhesive attached to the back. Installation of peel and stick garage floor tiles is a snap as well. Easy to cut and install, this is a great flooring option for even the most novice DIYer. The last common flooring option is a rigid, snap together floor tile. Although these tiles are a little more costly they are extremely durable. Installation is also fairly simple as that each tile simply snaps together to make a nice solid garage flooring surface. 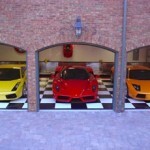 Generally more expensive than the other options these tiles certainly make for a beautiful garage floor. 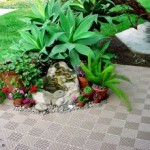 All of the flooring options discussed in this article are available online at StoreItWell.com. This entry was posted in Updates and General Garage Flooring News and tagged floors for your garage, Garage Flooring, garage floors, rubber garage floor, Tile floor on July 1, 2013 by GFI. This entry was posted in Updates and General Garage Flooring News and tagged diamond deck, Garage Flooring, garage floors, rolled garage flooring on June 3, 2013 by Store It Well Staff. Garage Storage Solutions, started by veteran garage specialist Chris Hall, has expanded his list of products to include polyurea coating for industrial floors and garage floors in homes. The new product, 5500, is a pure polyurea reactive two component system highly resistant to staining and hot tire marking. The 5500 product conforms to the requirements of the USDA for incidental food contact and is formulated to be non-color changing, abrasive resistant, non-brittle, flexible, quick set with impact resistance. Best of all the coating is non-toxic and dries fast. Within 24 hours, the surface is dry enough to walk on and your car can go back in the garage. 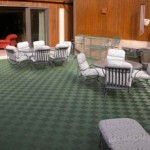 The flooring comes with a full satisfaction guarantee and warranty against manufacturer defects. One of the reasons some flooring lifts is because the floor hasn’t been properly cleaned and prepared for application. Before applying the coating the floor has to be clean and free of debris. Garage Storage Solutions will prep the surface by diamond grinding the floor to make it even and to remove the wear layer from the garage floor along with residue and other contaminants that can cause a garage floor coating to fail. More importantly it opens up the pores of the concrete and allows the base coat to penetrate the surface and bind the garage floor coating to the concrete garage floor. Chris is a registered dealer for Strong Racks and is also the exclusive dealer for Monkey Bars Storage Systems in Central New Jersey. He has been in the construction business since 1979 and takes great pride in his work as a garage specialist. 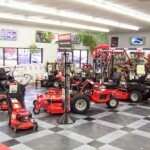 For more information, visit http://www.garagefloorpros.com or call 973-684-2228. This entry was posted in Updates and General Garage Flooring News and tagged garage floors on May 13, 2013 by GFI. 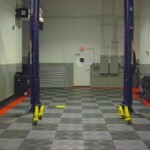 RaceDeck® is the undisputed leader of the garage flooring industry, with more modular garage floors manufactured, sold, and installed than all of our competitors combined. We offer flooring in seven garage floor tile styles, fourteen standard colors, and literally millions of custom color garage flooring tile options. 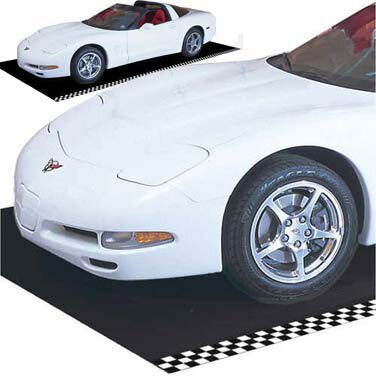 RaceDeck garage floors are great for garages, basements, aircraft hangars, commercial garages, trade show exhibit floors, and more. Installing RaceDeck requires no glues or chemicals, so there’s no mess or toxic fumes – each module simply ‘Snaps’ into place!. Our products are proudly made in the USA. 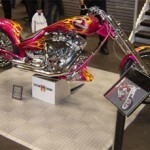 This entry was posted in Updates and General Garage Flooring News and tagged garage floor tiles, garage floors, race deck garage floors, racedeck garage floors on March 10, 2011 by GFI. Just about anything you want. 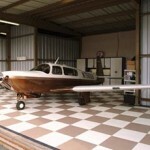 How about using it at an airplane hanger, patio, lounge, warehouse, product display, shop and yes, even a garage. Your options are limitless. Have an image of your finished project? Email it to us and we’ll post it on our site! Back to Race Deck Garage Flooring? This entry was posted in Updates and General Garage Flooring News and tagged best garage floor, flooring for my garage, Garage Floor, garage floor tiles, garage floors, tiles for garage floors on October 27, 2008 by Store It Well Staff. 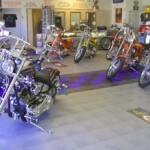 When it comes to garage flooring tiles, there are generally two types available. 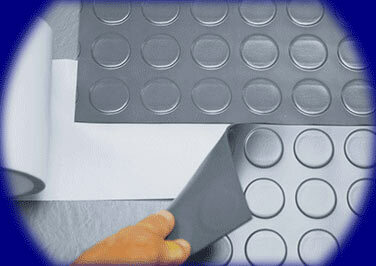 The first is the soft variety which is usually peel and stick tiles. The second variety is the rigid type and these tiles use a locking mechanism to join them together. In this article we are going to focus on the latter type. Engineered to withstand the toughest mechanical environments and is not affected by petroleum products and most automotive chemicals. Installs in hours, not days – you simply snap your floor together over any solid swept surface. No glues, no paints, NO VAPOROUS TOXIC FUMES. Made in the USA with a 15 year manufacturer’s warranty. Let’s look at some of those benefits in more detail. First, they are engineered to withstand chemicals that could destroy the tile. This is not true of all garage floor tiles on the market today. RaceDeck is the leading garage tile manufacturer and they are the only product we trust to provide years of use and enjoyment. They also back up their claims with an amazing 15 year warranty. The true beauty of a rigid garage tile is that they are so simple to install that just about anyone can do it. The best part is when your done you don’t have to worry about your floor failing like an epoxy garage floor could. Quick installation that is much safer than epoxy is a huge benefit to most homeowners. 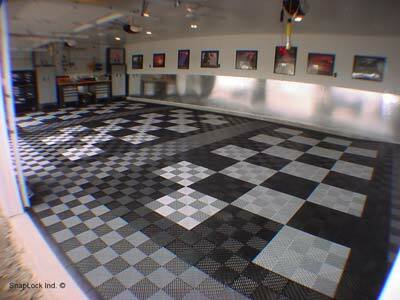 RaceDeck garage floor tiles come in 8 colors, 2 sizes, various patterns and finishes. 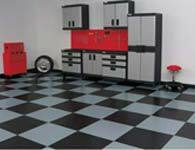 With so many options available you can make an amazing garage floor in no time. Check out these images, you won’t get this look with any other products. 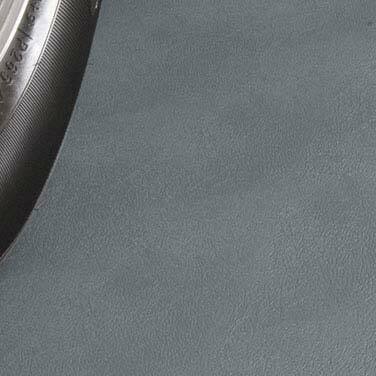 Unlike other garage floor products, rigid garage floor tiles are free-floating. This provides an impressive anti-fatigue benefit which will make spending time in your garage more enjoyable. In addition, because this floor is not glued to the concrete, it can be removed or changed when needed. 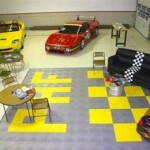 Finally rigid garage floor tiles from RaceDeck are designed to withstand the tough environment of a garage. Whether it is a car, jack, toolbox or whatever else you through at it, these floors are designed to last and backed with a 15 year warranty. This entry was posted in Updates and General Garage Flooring News and tagged best garage floor, Garage Floor, garage floor tiles, garage flooring tiles, garage floors, tiles for garage floors on October 16, 2008 by Store It Well Staff.